You have your half-ton truck…what’s next? 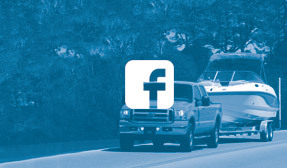 If you’re the proud owner of a 2007-2015 Silverado or Sierra, a 2002-2008 RAM 1500, or a 2004-2014 F-150, you have some options to tow and haul more safely. The question is…which kit is for you? I’ve been wondering about this—why are you just now bringing it up? Air Lift just released two new series of air springs for half-ton trucks: LoadLifter 5000 and LoadLifter 5000 ULTIMATE. Now, you can choose between LoadLifter 5000, LoadLifter 5000 ULTIMATE, and RideControl. Well…one of those has an all-caps “ULTIMATE” at the end of it. Isn’t that obviously the best option for everyone? Whoa, hold your horsepower. Each of these kits is pretty amazing in its own way, but they all have their differences. Let’s break it down here. 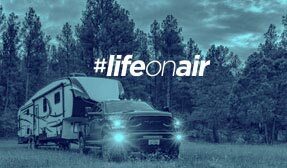 RideControl is your best bet IF you are a weekend road-tripper, and you look forward to hitching up a pop-up camper and loading a mobile fire pit into the bed of your truck. It has a load-leveling capacity of 2,000 pounds. In other words, it’s the kit for you if you tow and/or haul occasionally. Of the three kits we’re discussing here, RideControl is the one that offers the most comfort when you’re not towing or hauling. Both LoadLifter 5000 and LoadLifter 5000 ULTIMATE have 5,000 pounds of load-leveling capacity, and both have a single- or double-bellows style spring…and the sameness pretty much stops there. LoadLifter 5000 is for you IF you’ll use it frequently throughout the week. It’s identified as the “heavy duty” kit…so it’s ready for anything. It has solid capacity and we recommend it when you tow and haul pretty often. LoadLifter 5000 ULTIMATE has an internal jounce bumper. You should buy this kit IF you are going to use it like it’s your job—kind of literally for your job, that is. This kit is what we call “commercial duty.” Like we mentioned earlier, the ULTIMATE has that added jounce bumper. This kit provides some extra comfort, prevents bottoming out, and pretty much gets rid of the harsh ride that you’re probably used to. Basically, you have a handful of options for your half-ton truck. We bring you the superior products…now, it’s up to you to pick what’s right for you and your lifestyle. If you’re still undecided, we have industry-leading customer support…someone here is just waiting to help you find the perfect kit for your vehicle. Get ready to buy your ideal kit and improve your towing and hauling capacity more than you ever thought possible!